I have read all of the Carrigans of the Circle C books and book 6 does not disappoint. The gradual build to Willa and Finn’s romance was perfect. They both kept secrets and they both fell in love without meaning too. Add in a few Christmas miracles and you have a perfect story for the Christmas season. The mystery of the ring and how it adds to the secrets of the Bramble family history was a perfect addition to the story. For fans of the Carrigan and Bramble families, this book treats us to glimpses of some familiar characters: Eliza & Marshall-owners of the Bramble B&B (met them in “Snowbound in Montana); Sage & Dawson-new friends to Willa & her son (Promise Me, Cowboy); Callan-Sage’s sister and Eliza cousin (A Cowgirl’s Christmas), and the wonderfully grouchy Aunt Mable Bramble. Willa and Finn both loved Marietta so I hope that they’ll decide to become residents and we’ll see them in future books. 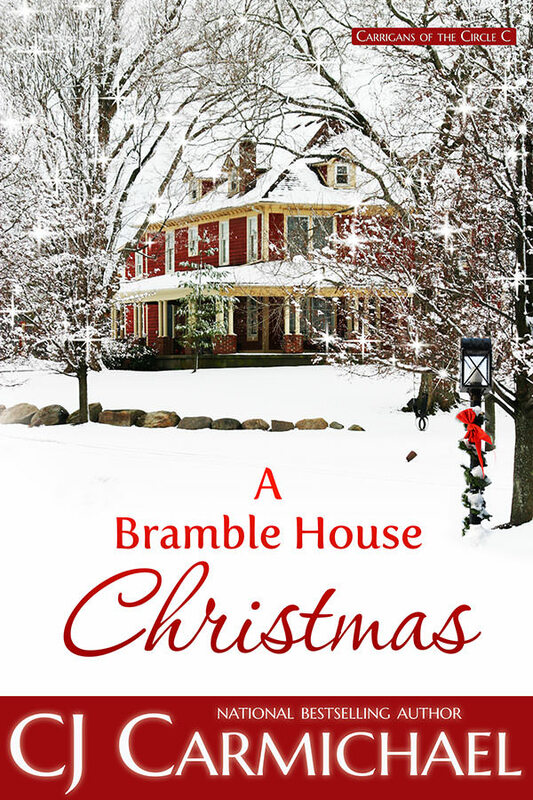 A Bramble House Christmas can be read as a standalone, but the series is outstanding. This was a quick and heartwarming read. Wish there was really a Marietta, MT to visit. The cover is simply beautiful and the dedication was lovely. To sum it up, I enjoyed this story and will add it to my yearly Christmas rereads. 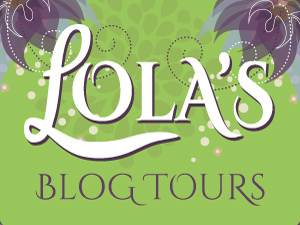 I received a free downloaded copy from Lola’s Blog Tours via Netgalley. Finn Knightly a.k.a. Finn Conrad wants to know why his recently deceased father left his nurse fifty thousand dollars after knowing her a mere six weeks. So he travels to Bramble House B&B in Marietta, Montana to find answers. But Willa Fairchild is not the conniving woman he expects to find. Before he knows it, Willa-and her six-year-old son Scout-are stealing his heart. And that’s before he finds out Scout’s secret and the real reason this Christmas is so important. Willa Fairchild hadn’t counted on driving through a blizzard on her first night in Montana, but given the way her life had gone the past two-and-a-half years, maybe she should have. “Are we almost there?” Her six-year-old son’s eyes looked huge reflected in the rearview mirror. Scout, strapped into a booster seat in the back of the rented Ford Escape, obviously found the big storm intimidating, too.“Fifteen more minutes. I think.” Quickly she returned her focus to the road, her shoulders tight, her eyes straining. It was dark and snowy and she had to fight the wind to keep a steady path.Traveling from Arizona to Montana for Christmas hadn’t been Willa’s idea. But a very special patient who’d recently passed away had gifted her a three week stay at Bramble House B&B in Marietta, Montana. And when she’d mentioned the idea to Scout, he’d been excited to travel somewhere new and have a white Christmas for a change.They were both open to fresh experiences these days, now that Scout had finally—thank you God—been declared cancer-free.A gust of wind rattled the car as a semi-truck blasted by her, sending up a cloud of snow as well. For two full seconds she was completely blind. And then she spotted the yellow-dotted line again. Whew. Their flight from Phoenix to Bozeman had been smooth enough. They were in the rental car line-up when the snow started. By the time they were on the highway, the wind had begun to howl.Just her luck.The windshield wipers flapped against the steady onslaught of snow, yet despite the terrible road conditions, Willa knew she was driving too slowly. A steady stream of vehicles had been passing her since she’d merged onto the Interstate. But she’d never driven in a snowstorm before and didn’t have the nerve to go faster.She hunched over the steering wheel, her head aching with tension as another semi overtook her, spewing clouds of snow over her car, causing the Escape—and her—to shudder again.Thwap, thwap. Seconds later she could see again, and her panic subsided. Blurry florescent white letters on a green background appeared like a beacon on the right hand side of the highway. “Marietta 8.” Thank God. Scout had seen the sign, too. “Only eight more miles, Mom.”“Yup. We’ll be there before you know it.” Willa was a master at sounding optimistic and cheerful when she felt the exact opposite.It was a necessary skill to acquire when your son was diagnosed with acute lymphoid leukemia at the age of three-and-a-half years.Willa snatched another glance at the rearview mirror, this time to check if another vehicle was about to pass. But all she saw was the same pair of large headlights that had been traveling behind her since she’d left the airport. Another chicken driver, like her, who was terrified of the snow, ice and wind? At least the driver had the good sense to keep a large buffer between them. Willa didn’t think she could handle a tailgater tonight.Another green sign loomed ahead—this one signaling the right hand exit, which would lead them to Marietta. A moment after Willa turned on her indicator light, the vehicle behind her did the same.It was an interesting coincidence, but one Willa forgot all about as she focused on slowing cautiously, taking the turn safely, then gradually easing back to her cruising speed of forty-five miles an hour.Thank God they were almost at Marietta, because if anything, the snow seemed to coming down harder now. Gobs of it were collecting at the base of the wipers. She ought to stop and clear it off—but she could hardly see the lane she was driving in now, let alone the shoulder. It seemed safer to continue with reduced visibility than risk a stop.Before long they came to the one-mile marker.Willa could sense her son’s anticipation as he leaned forward in his booster seat until his head was almost in line with hers.“Remember Mom,” Scout cautioned. “Don’t tell anyone about the cancer.”Her son was tired of being “the boy with leukemia,” the kid other boys and girls were scared to play with in case they gave him germs, or hurt him in some other, incalculable way.“I won’t forget.” How could she? It was the first and last thought she had every day. My son is cured. Thank you, God.The oncologist had assured her there were no more cancer cells in her son’s body. And yet…she couldn’t stop studying Scout’s face every day, worrying when he looked too pale, or seemed too tired.She’d thought she would feel so happy the day their ordeal was over.Instead, she felt drained. Old beyond her years. And very alone.“I see lights! Look, Mom, through the snow! Isn’t it awesome?” Indeed. Her muscles relaxed as she spotted the festive reds, greens and golds glowing in the distance. Marietta. The Bramble House Bed and Breakfast. Christmas.The drive—heck the past two-and-a-half years—may have been a nightmare. But good things awaited them now,surely. Finn Conrad parked on a side street, killed his lights, and then waited while the woman and her son gathered their luggage and entered the bed and breakfast. From the outside, the three-story Victorian—the largest home on the block and quite possibly in all of Marietta—looked both stately and welcoming. Fairy lights were strung along the eaves and porch railings and in the large front window, a Christmas tree glittered red, green and gold.Presumably the Brambles had once been a family of some omportance in this town. That they no longer held this position seemed self-evident, given that they had opened their doors to the hospitality trade.Once the Fairchilds were inside and out of sight, Finn pulled his rented GMC truck into the guest parking lot, snagging an empty spot opposite from where Willa had parked her small SUV. Back here he could see a large garage with what looked like living quarters above. Lights glowed behind the pulled curtains.He sagged into his headrest, glad the drive was over.Willa Fairchild’s snail-like pace had almost been the death of him. She was either a very nervous driver or she didn’t have much experience with winter road conditions. Since he knew where she was heading, he could have passed her. But what if she hit a patch of black ice or something? It was far from his place to worry about Willa Fairchild. Knowing she had a kid in the car with her, though, changed things.So he’d followed a safe distance behind them to make sure they didn’t run into trouble.He had so many questions about this woman. After today he added another to the list. What was she doing in Marietta, Montana? It seemed to be a nice enough town. And Bramble House B&B had made the National spotlight last year when country music star John Urban announced on the Jane and Ty Show that he planned to go there for Christmas.But there were lots of nice towns in this country, with plenty of charming bed and breakfasts. Most of them a hell of a lot easier to get to. Maybe she had family here. Friends. He supposed he’d find out soon enough. The clock on his dash clicked forward to eight p.m. He pulled out his phone and found four text messages from his mother. He texted to let her know he’d arrived okay, but didn’t answer any of her other questions. He loved his mother, but she was an exhausting woman, especially since her divorce from his father two years ago. Every time a light bulb burnt out in her house, she was on the phone to him, wondering what to do. The fact that he lived in Colorado and she in Seattle made no difference.His mother leaned on his three younger sisters, too, albeit in different ways. Molly, married with two children of her own, bore the brunt of their mother’s emotional distress. To her fell the role of listening to their mother’s litany of complaints about their dad’s desertion, his lack of loyalty to her and the family, his selfishness.From an early age Molly’s twin, Keelin, had used academics as a buffer from their family issues. Now a genetics counselor Keelin was a veritable workaholic. It was interesting how often the dates of her out-of-town conferences conflicted with family birthdays and holidays. Not that Finn blamed her. Their family could be exhausting. The baby of the family, Berneen, was still living at home and attending the University of Washington. She was twenty-five years old and still hadn’t managed to complete a degree because she kept dropping out. One year it was to start her own jewelry-making business. When that didn’t pan out she tried writing and self-publishing a cookbook that netted her all of thirty-five dollars. Finn suspected his mother enabled Berneen’s lack of focus because she didn’t want her youngest moving out and leaving her alone. He glanced at his phone again. Fifteen minutes had passed. That ought to be enough. He grabbed his duffel bag from the passenger seat, then the bag containing his laptop, camera and sketch pad. Not for the first time since he’d booked his ticket and accommodation he wondered if he was making a mistake. Any plan hatched by his mother and Berneen was bound to be suspect. But then he thought about his father, and knew he had to have answers. Shaking his head, he braced for the cold.Wind slashed snow pellets at his face and he had to shield his eyes in order to see as he dashed along the shoveled walkway to the front entry. Outdoor carpet ran up the stairs, all the way to the massive wood door. A small sign in the window invited him to come inside.He was greeted with a waft of warm, gingerbread-scented air. Another sign, this one on a table next to an umbrella stand, asked him to remove his boots and leave them on the rack by the door.The foyer was large, with dark wooden floors and papered walls in a tastefully muted floral pattern. Straight ahead was a gracious, curved staircase, and next to that a Christmas tree that looked about fourteen or fifteen feet tall. Not the red, green and gold lit tree he’d seen from the street, this one had blue and gold lights. A closer look revealed ornaments that all had something to do with cowboys, ranching or mountains. As he reached out to examine a beautiful wooden carving of a black quarter horse, a man in a hunter green parka, hands encased in thick gloves, emerged from the back of the house. Hi there. That’s our Montana tree. Eliza has a tree in every room, each one decorated in a unique theme.”Impressive.” “Hell of a night, isn’t it? I’m Marshall McKenzie. My wife Eliza and I manage this place, along with her great aunt Mable.” Finn had never stayed in a bed and breakfast before, but it seemed the staff was a lot more informal and friendly than at a hotel. He shook the man’s proffered hand. “Finn—” he paused only slightly before adding, “Knightly.”“You’re the book illustrator from Colorado?” Finn nodded. This Marshall guy was tall, and even with his big coat, he had the look of being trim and in good shape. From his tanned skin, Finn guessed he was into outdoor sports. Given the location, he probably liked to ski.“Well, this blizzard will be nothing new for you,” Marshall said. “We just had a woman and her son check in from Phoenix. Poor lady was pretty frazzled after her drive from the Bozeman airport.”I know. “The roads weren’t that bad. No ice, at least. And the fresh snow will be good for the ski hills.”The answering gleam in Marshall’s eyes told Finn he’d guessed correctly. “You ski?”“Sure do. Eliza and I enjoy snowshoeing too. Wish I didn’t have to work tomorrow. Did you bring your equipment with you?” Marshall glanced at Finn’s bags, which he’d left next to the shoe rack. “No, my skis are in rough shape. I’ve been meaning to buy new ones, boots, too. Anyway, I plan to spend most of my time taking photos and sketching for my next book.” “Working through Christmas?” Finn shrugged. “Tight deadline. But I’ve got three weeks so I hope to do a little skiing eventually.”“Cool. I also work at Montana Wilds Adventure Company. We’ve got a sweet pre-Christmas sale going on at our store on Main Street. Pop in sometime and I’ll show you your options. You can rent or buy. Whatever you prefer.”“I might just do that.”“Okay. Well, I should get out there and do some more shoveling. Eliza will be here shortly to show you to your room.” He no sooner said that, than a tall blonde wearing skinny jeans and a baggy red sweater decorated with a Santa face, emerged carrying a tray of cookies, clearly the source of the delicious aroma that filled this house. “Hi! Finn Knightly?” She didn’t wait for him to reply. “I’m Eliza Bramble. Here, try a cookie. Santa’s been experimenting with his recipe and I think he’s finally got it exactly right.” Speechless, Finn stared from her pretty, bright-eyed face, to the over-the-top tacky sweater, to the plate of sugar-dusted, ginger-scented cookies. He took a cookie. Bit into it. Wow. Flavors exploded, then melted into his mouth. Brown sugar, molasses, cinnamon, cloves, butter…lots of creamy butter. And ginger. He glanced behind himself, expecting Marshall to reach for a cookie, too, but the other man had gone outside, presumably to deal with the still-falling snow. “Did you say Santa baked these?” Eliza laughed. “Yes. He’s staying with us over the holidays. Aren’t we lucky?” Finn decided to roll with it. “What about Mrs. Claus?” “Unfortunately her flight out of the North Pole was cancelled.” Of course it was. Finn smiled. “Is my room ready?” “It is. Let me give you a quick tour and then I’ll take you up.” She led him through open French doors to a large room with comfortable looking brown leather furniture arranged around a massive fireplace where several logs burned merrily.“This is the sitting room. You’ll usually find refreshments here, as well as a bit of company, if you’re in the mood for a visit, though it’s quiet now.” She set the tray of cookies next to a bowl of apples on the sideboard. On the opposite wall, by the window, was a tree decorated with gold, green and red lights. It was the tree he’d spotted from the street. What he hadn’t been able to see from a distance were the dozens of tiny, silver picture frames hanging from the branches. He touched one of them. It was a black and white photograph of a woman in her twenties or thirties, taken around the turn of the century. On the back was engraved, Elizabeth Bramble – 1877 to 1954. “I’m the Bramble family historian,” Eliza explained. “I’ve got miniature portraits here dating back to Henry and May Bell—who were the first Brambles to settle in Marietta.” “So they built this house?” “They did.” She indicated that he should follow her for the rest of the tour. On the other side of the foyer was the library with a literary-themed Christmas tree. “This is the perfect place to read or play games in the afternoon. My great-aunt Mable likes to sit here in the morning and early evening, so it’s restricted to family at those times.” Finn wondered what this great-aunt thought about her home being opened to guests and other strangers. “Has this house been operated as a bed and breakfast for long?” “Just a few years.” Eliza’s pale skin colored and abruptly she turned and led the way to the room at the back corner of the house, behind the sitting room. “This is where we serve our breakfast, from seven to nine. In between times, if you’re hungry, we usually have a pot of soup on the stove in the kitchen.” He peeked into the darkened room, where a large wooden table was already set with linens, old-fashioned china and gleaming silver. The tree here was somewhat smaller than the others. “Does it have a theme?” “It’s our copper tree, celebrating Marietta’s mining history.” “So a total of four trees. Cool.” “Actually, there are five. We have a tree decorated with a baking theme in the kitchen, but unfortunately, due to health code restrictions, that room is off limits to our guests.” “Except for Santa.” “Indeed. But even he has to wear a hair net and wash his hands.” She pointed out the restrooms next, then her great-aunt’s suite on the other side of the kitchen, which was another off-limits area. Finally Finn grabbed his bags and they headed up the grand staircase to the second level, where Finn knew from the website were four large guest suites. “You’re in the Brown room,” Eliza opened the door to a room with a four poster bed. A cozy armchair with a footstool sat in one corner. A desk in the other. “This looks perfect.” Just as he was about to step inside, the door to the room opposite his opened, and out stepped Willa Fairchild, wearing a thick, cream-colored robe, her long, chestnut-colored hair piled high on her head. This was the closest he’d been to her, and he was surprised by how young she looked. She had very pale skin, generous lips, and an off center small mole on her chin. Her dark-lashed, brown eyes had a vulnerable quality that also caught him off guard. He supposed he’d expected them to have a calculating, if not mercenary, gleam. But she was, in fact, perfectly lovely. “Hi Willa,” Eliza said. “Is everything okay?” “The room is so comfy. Thanks so much for setting up the extra rollaway bed, but my son is hungry. I thought I’d grab him an apple…?” Her gaze slipped from Eliza, to Finn. He thought her eyes widened slightly. Did she recognize him from the airport? But he’d been so careful to keep his distance. He proffered his hand. “Hi, I’m Finn Knightly, from Colorado. Just got in myself. Quite a storm out there.” “I’ll say. I’m Willa Fairchild from Phoenix. The worst I have to deal with at home is a heavy downpour.” “And I’m Scout.” Willa’s son came to the door, already dressed in pajamas. He, too, had pale skin and thick, short hair, same color as his mother. “Hey, Scout. How do you like Montana so far?” Finn asked. “I’ve never seen snow before. I took some up to my room but it’s melted already. Tomorrow we’re going to make a snowman, right Mom?” She put a hand on his head and smiled. “You bet. But first, we need to sleep. You pick out a book and I’ll be right back with that apple.” “Okay.” Obediently he slipped back into the room. “Good kid,” Finn commented. He couldn’t remember his own niece or nephew ever saying “okay” to anything Molly requested them to do. At least not the first time she asked. “Grab a few cookies while you’re down there,” Eliza suggested to Willa. “Fresh from the oven about fifteen minutes ago.” “Santa’s secret recipe,” Finn added, earning a smile from Eliza and a puzzled, over-the- shoulder glance from Willa. “I hope you like the room,” Eliza said, opening the door wider. “There’s a full bathroom, including a jetted spa tub, through that door.” “I’m sure it will be great.” Finn was still watching Willa, though, who’d just disappeared around the curve in the stairwell. She wasn’t anything like he’d imagined. At least now Finn understood why his father had fallen under her spell. It’s on my yearly Christmas story rereads.